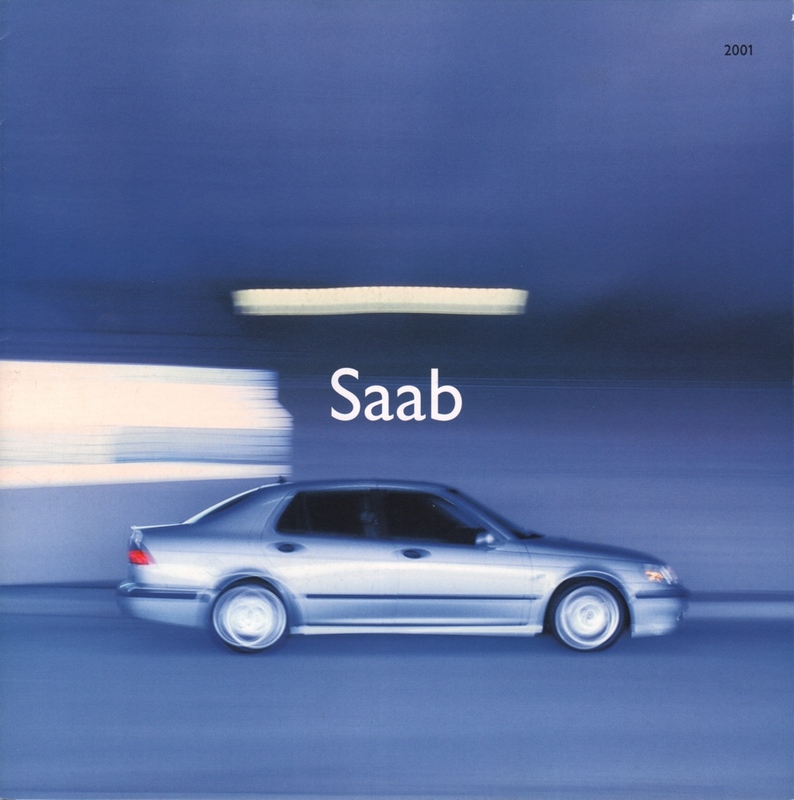 Sales brochure for the 2000 Saab featuring the Saab 9-3 Coupe, Saab 9-3 five-door, Saab 9-3 Convertible, Saab 9-5 Sedan, and Saab 9-5 Wagon. Specifications for the SE and Viggen are also shown. Brochures are presented for research use only. Company marks, emblems, and designs are trademarks and/or service marks of Saab.